It’s time once again for the Top 3 Indies Artist Video Countdown. 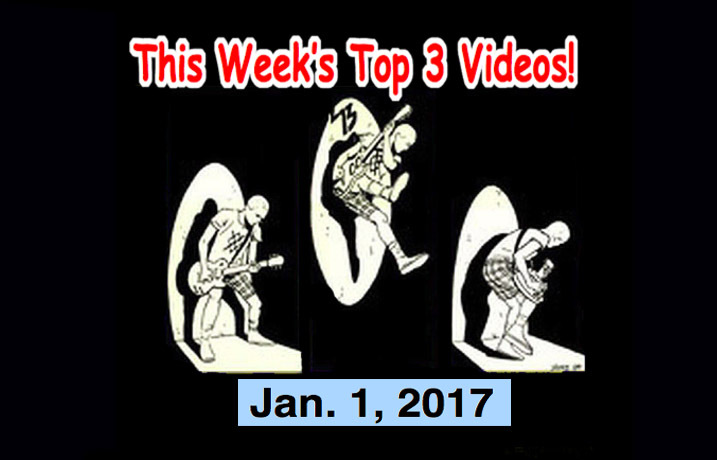 The Top 3 best Indies and Alternative Music artists for the week of Dec. 31, 2016! Mike & Taro’s FREE New Year’s party! Jan 23, 2017 starting at 7 pm at Shibuya Milkyway. Top 3 Indies Artist Videos for Dec. 18, 2016! 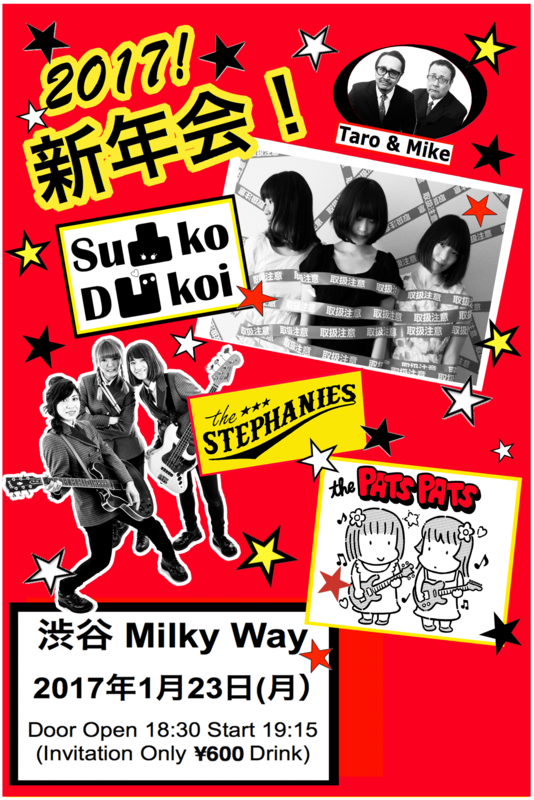 Louise Distras, The Spitfires, Warbly Jets, Stephanies (Japan)! It’s time once again for the Top 3 Indies Artist Video Countdown. The Top 3 best Indies and Alternative Music artists for the week of Dec. 17, 2016! 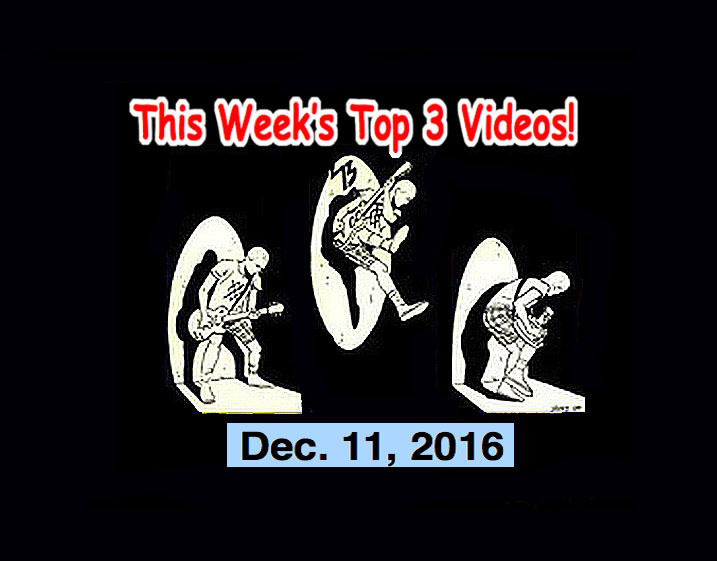 Top 3 Indies Artist Videos for Dec. 11, 2016! Ginger Wildheart & Ryan Hamilton, The Stompin’ Riff Raffs (Japan), Pale Honey, Family Friends! It’s time once again for the Top 3 Indies Artist Video Countdown. 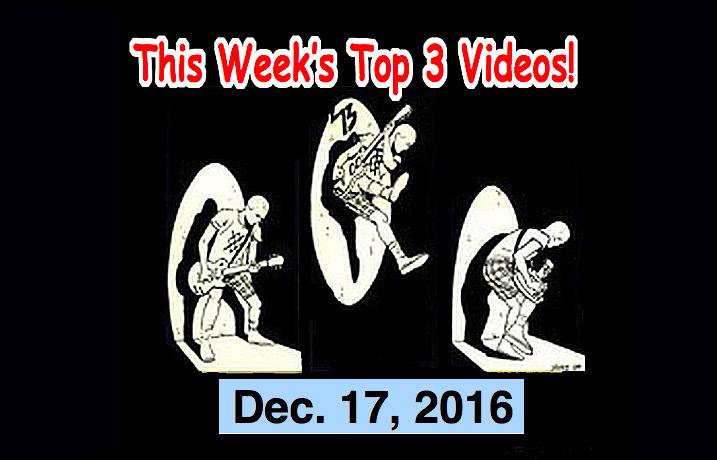 The Top 3 best Indies and Alternative Music artists for the week of Dec. 11, 2016! Next is an Indie pop duo from “London and Melbourne.” I can’t find any information about these two but can tell you that they both have to last same name… I’d bet half a donut that they are brother and sister by looking at their photos on Soundcloud. I can’t find a Facebook page for them or any other information. Top 3 Indies Artist Videos for Dec. 4, 2016! David Bowie, Su Ko D Koi (Japan), Lover, David and The Curse! It’s time once again for the Top 3 Indies Artist Video Countdown. The Top 3 best Indies and Alternative Music artists for the week of Dec. 4, 2016! At #1 this week is a video by Mick Rock. It is a rework of the 1973 Life on Mars video. Normally, I wouldn’t put this on the Top 3 because it is not a new song or artist, but , well. It’s BOWIE! David Bowie! Bowie is god! So what else is there to say? Of course there’s a tons of Bowie fan sites on Facebook and all over the map. Go check it out. This remix/remaster is OK… Interesting… But I think I still prefer the original. SPOTLIGHT ARTIST! Today’s Spotlight Artist is one of my favorite Japanese girl’s punk band’s of all time. Their name is Su凸ko D凹koi (Just say, “Su Ko D Koi”) They are releasing their first full album on Jan. 11, 2017! AND they are going to be guests on my radio show, “WTF?” tomorrow morning (Dec. 4, 2016)… Not only that, they will headline at our free New Year’s Party (tickets are free, but you have to have a reservation! If you want to g, see information below the video! About Mike in Tokyo Rogers: Mike has been a professional music/TV/radio/anime-related program producer in Japan since the eighties. He began in the music business in 1977 as lead vocalist with the crappy but legendary Los Angeles Punk Band, “The Rotters” (Sit on My Face Stevie Nix.). As a university student, he was assistant to the legendary Rodney Bingenheimer (Rodney on the ROQ – KROQ Los Angeles from 1980 ~ 1981.) Mike was the first and only foreigner in Japanese history to become the General Manager of a major Japanese broadcasting station (TV Tokyo owned InterFM). Has produced a few smash hit programs and several of Japan’s highest rated and most famous radio programs. A recent hit program was “The TV Show” (Set Program with “Ninja Slayer”) which, between April – Oct. 2015, garnered over 10 million viewers. He is currently producing and hosting “WTF?” the hugely popular Sunday live show on InterFM 89.7 as well as Rakuten Superrr Radio’s Power Morning everyday Mon. ~ Fri. 6 am ~ 10 am. As well as Rakuten Superrr Radio’s Power Evening Mon. ~ Fri. 5 pm ~ 8 pm. And His life’s dream is “Ghostroads – A Japanese Rock and Roll Ghost Story” which will be released by a major Japanese motion picture company and in theaters all across Japan in Oct. 2017.